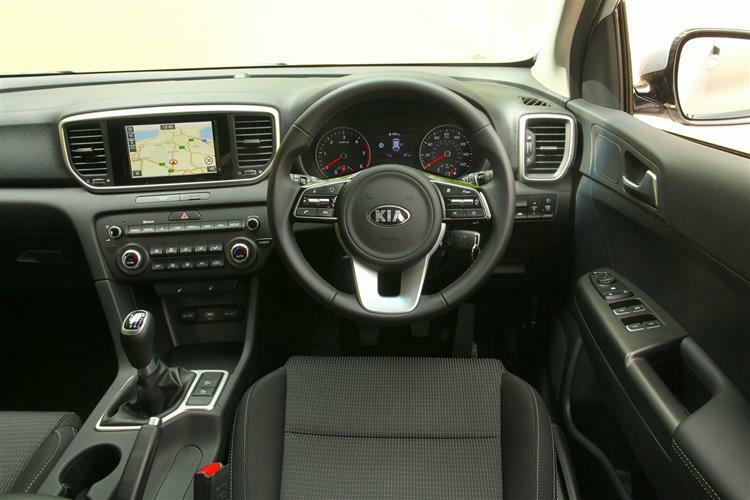 This improved fourth generation Kia's Sportage is an affordable mid-sized SUV that delivers even more of what buyers are looking for in this segment. Jonathan Crouch checks it out. How did the Kia Sportage quietly develop from also-ran to front runner in the budget SUV stakes? By offering more of what people want, that's how. This improved fourth generation car now delivers mild hybrid diesel technology for the first time, plus gets an all-new entry-level diesel engine too, along with smarter looks, more safety kit and extra media connectivity. The motto here seems to be 'If it aint broke, try even harder to fix it'. 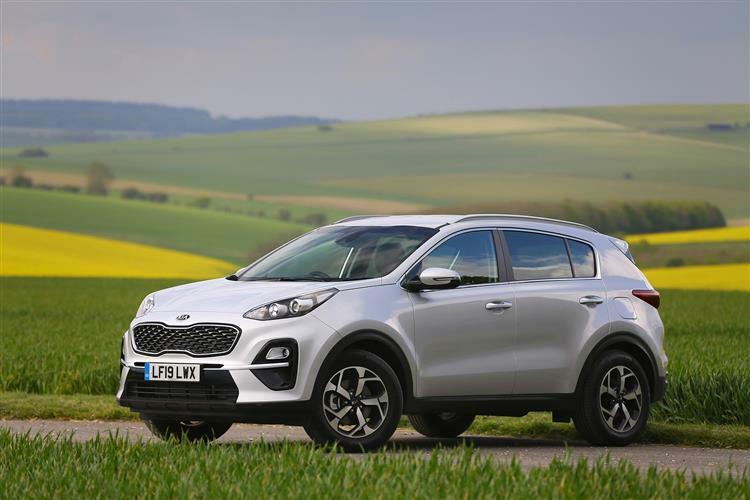 It might be easy to believe that the market for compact and mid-sized SUVs hasn't essentially changed all that much in the last ten years, but it's now radically different and the biggest beneficiary of these changes has been Kia, and more specifically its Sportage. Consider this. Just over ten years ago, you could pick up a brand new entry level Land Rover Freelander for under £16,000. Even as I'm typing this, I'm double checking to see if that's correct. It is. Nowadays the Freelander's Discovery Sport replacement would probably set you back well over £30,000. That's a massive increase. Yet the Office of National Statistics tells us that the average annual wage over the same period rose by 37%. What it all means is that a huge amount of buyers are being priced out of the SUV market. 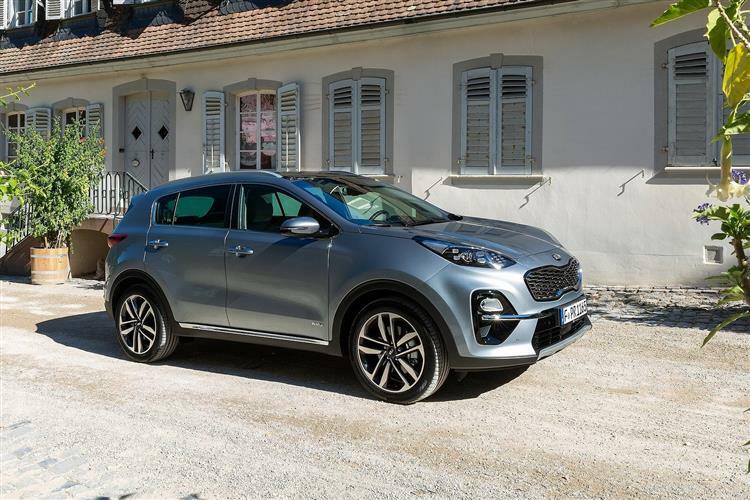 That's something that Kia not only recognised, but also put itself in prime position to capitalise on with its impressive fourth generation Sportage. This revised version of that car gets a smarter look inside and out and a range of technologies to improve comfort, convenience, connectivity and safety. If you're buying a mid-sized SUV or a Qashqai-like Crossover model in this segment, it's well worth a look. This improved fourth generation model carries over many of the mechanicals of its predecessor, but adds some new technology too. As before, buyers get a choice of both front and four wheel drive models. And engines? Well the petrol range is made up of a normally aspirated 1.6-litre GDI 130bhp unit and a much pokier T-GDI turbo 174bhp powerplant. Go for the T-GDI variant and you get the option of the brand's seven-speed 7DCT dual-clutch automatic gearbox, also offered elsewhere in the range. Most Sportage buyers though, want a diesel. For buyers wanting to fuel from the black pump, the range starts with a 114bhp 1.6-litre CRDi variant, which uses the brands new 'U3'-series engine. The key news here though, lies with the 2.0-litre CRDi version, which now features Kia's first mild hybrid diesel powertrain. The system supplements acceleration with power from a compact 0.44 kWh 48-volt lithium-ion battery, and extends engine 'off time' with a new Mild-Hybrid Starter-Generator (MHSG) unit. The MHSG is connected by belt to the engine's crankshaft, and switches seamlessly between 'motor' and 'generator' modes. In 'motor' mode the battery is discharged under acceleration, providing power assistance to the engine, to reduce engine load and emissions. Under deceleration - when braking, or coasting towards a junction or downhill - the MHSG switches to 'generator' mode, recuperating energy from the crankshaft to recharge the battery on-the-go. Prices are much as they were before, starting at around £20,500 and rising to around £35,000. There's a choice of '1', '2', '4', 'GT-Line' and 'GT-Line S' trim levels. 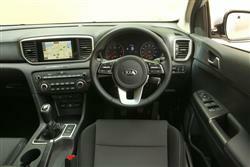 An AWD 4x4 system is either optional or standard on most models, as is Kia's 7-speed 7DCT auto transmission. All models come well equipped. Even the grade '1' variants come with 16-inch alloy wheels, air conditioning, a DAB radio, Bluetooth with voice recognition, automatic light control, a reversing camera system and Apple CarPlay and Android Auto smartphone connectivity. In addition, there's Trailer Stability Assist (TSA), Hill-Start Assist Control (HAC), Downhill Brake Control (DBC) and cruise control. All models from grade '2' spec have a Lane Keep Assist System (LKAS) to alert a tired driver who may be about to stray into the path of a vehicle approaching from behind. Plus High Beam Assist (HBA) to switch between full and dipped beam automatically when there are other vehicles in their vicinity on unlit roads. And a Speed Limit Information Function (SLIF) within the instrument cluster. The Sportage engine line-up now conforms to Euro 6d TEMP emissions standard. In keeping with that, Kia's Gamma direct injection 1.6-litre petrol engine (offered in normally aspirated or turbo forms) now has an updated particulate filter. And the old 1.7-litre CRDi diesel has been replaced by a new 'U3' 1.6-litre diesel that delivers 57.6mpg on the combined cycle and 130g/km. Which is a useful step up from the figures you get with the base 1.6-litre GDi petrol normally aspirated unit (39.8mpg and 162g/km). 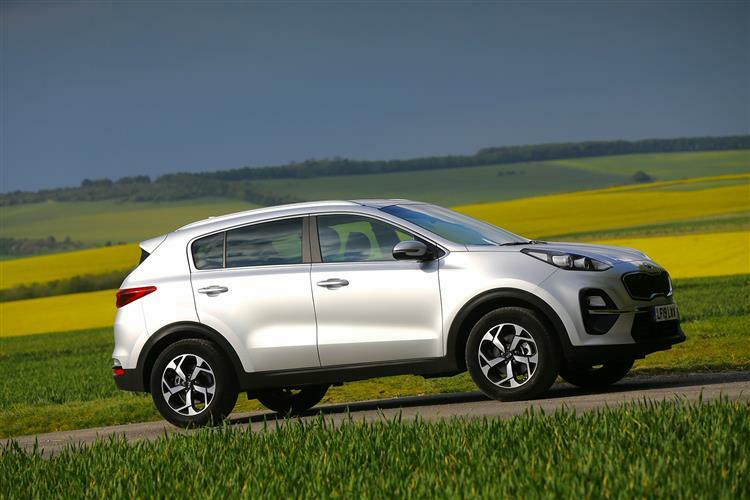 The big news with this facelifted Sportage though, is the introduction of an electrified 'mild hybrid' powertrain for the 2.0-litre CRDi diesel model. Here, the engine is assisted by a compact starter-generator unit belt-connected to the crankshaft. Power for the 48V Ecodynamics+ system comes from a small lithium ion battery mounted beneath the boot floor and the 13bhp electrical boost it facilitates takes the Sportage's total output to 195bhp. When you lift off the throttle to coast, or use the brakes, the starter becomes a generator, recharging the battery with energy that you'd otherwise lose in the form of heat. 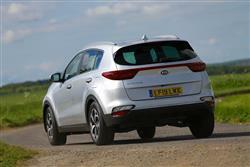 Kia claims that this technology improves efficiency by up to 4%. 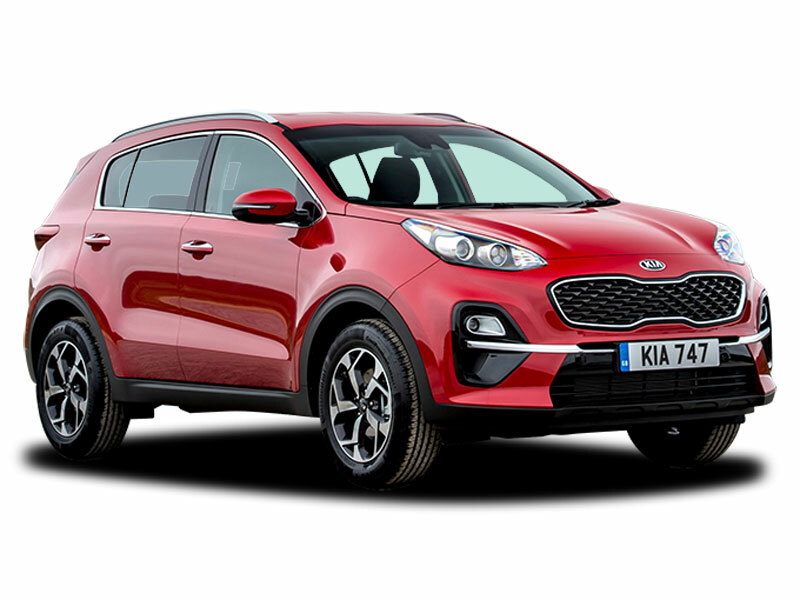 All Sportage models, like all Kias, get the brand's impressive 7-year warranty. 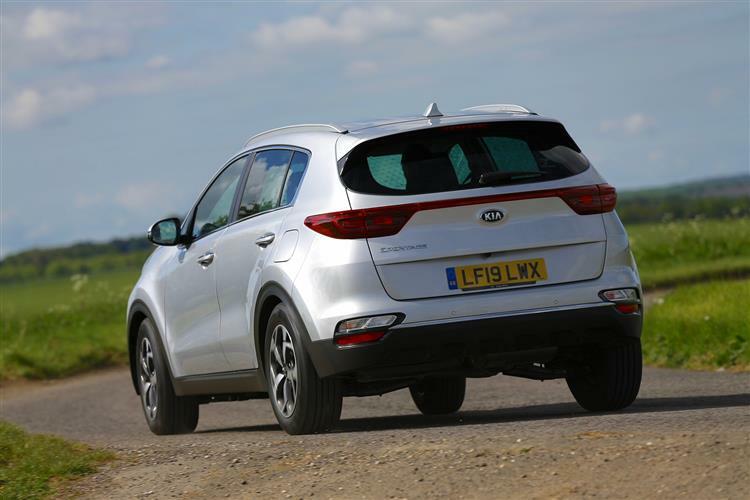 Have the updates made to this improved fourth generation Kia Sportage been sufficient to keep buyers loyal? It's true that they could have been more far-reaching, but there's just enough here to keep existing customers happy, we think. That's important as Kia is fortunate enough to have quite a few of these people in the UK, thanks to the impressive sales success achieved by earlier generation versions of this car. This enhanced MK4 model offers these folk a little more technology and, as before, they'll like the generous equipment levels and long warranty. Ultimately, it's a car you sit in and wonder just how so many rivals can really be worth around £5,000 more. That says it all really.